The number one cause of death of young chicks in Makueni County is predation by the dreaded eagle. Farmers may lose up to 100% of their young chicks to birds of prey in the first three weeks of their lives because they allow them to stray far from the house. Considering that a mature chicken can be sold for KES 500 or more, the eagle is responsible for the theft of millions of Shillings per year. 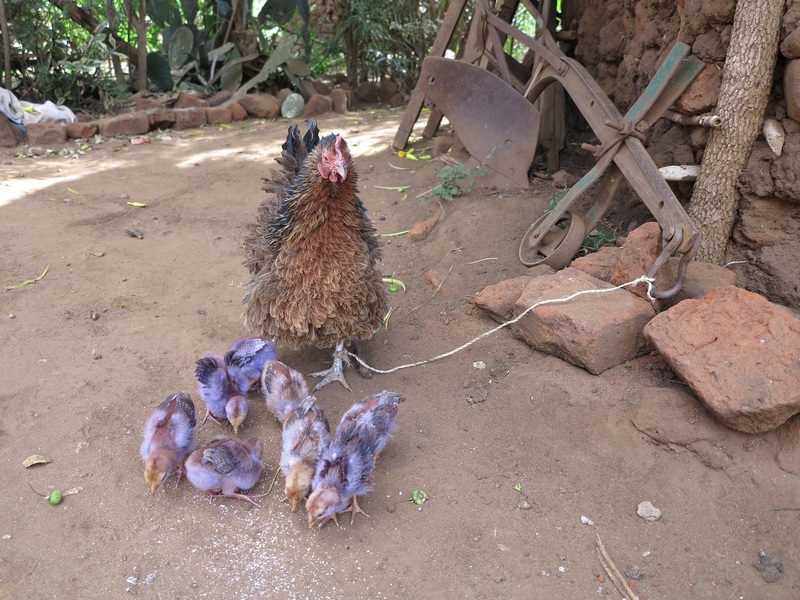 FIPS-Africa’s Village-based Advisors (VBAs) in Makueni County in Eastern Kenya have been advising farmers to prevent thief of young chicks by eagles by stopping them from straying from the homestead, and also by painting young chicks with GV (Gentian Violet). This Mother hen has had her chicks dyed with GV and has been tethered by a piece of string to prevent her from straying to danger areas. She hatched 8 chicks and all 8 chicks have survived! In addition to advising farmers how to control predation, VBAs are also assisting farmers to gain access to a thermostable vaccine to control the Newcastle disease. As a result of these simple interventions, FIPS-Africa is helping thousands of farmers in this semi-arid part of Eastern Kenya to increase their chicken populations. Women, who own the indigenous chickens, and their families are benefiting from increased consumption of meat and eggs. They are also generating income from sale of chickens and eggs to buy food and other basic necessities, and even pay school fees for their children. The common bean is the most important leguminous food crop grown in East Africa. It is grown by most small-holder farmers in Machakos and Makueni Counties in Kenya. Beans is generally intercropped with maize and does not receive fertilizer or manure. However, as soils have become depleted of their natural fertility, grain yields have declined. 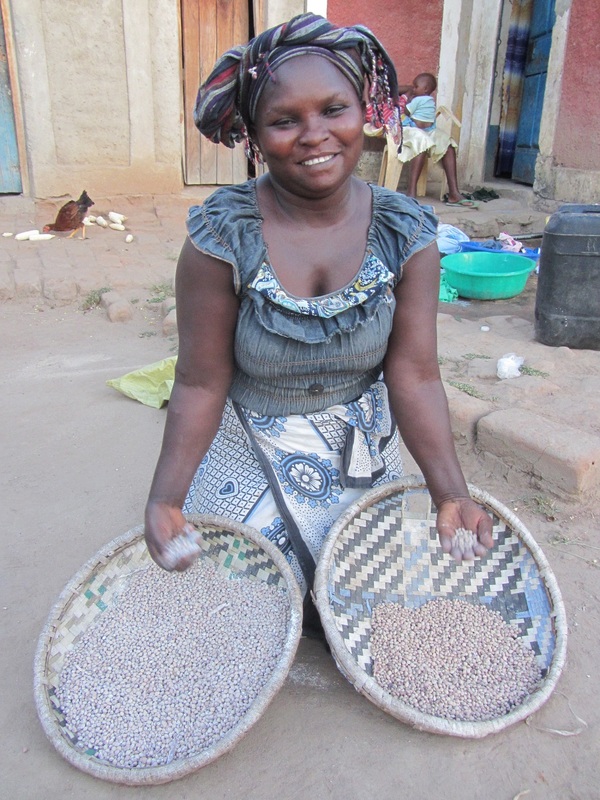 As most soils are deficient in Phosphorus (P), FIPS-Africa has been encouraging farmers to experiment with dressing of their bean seeds with P.
Farmers are finding that the addition of only 25 g of a product to 1 kg of seed can greatly increase their bean yields. 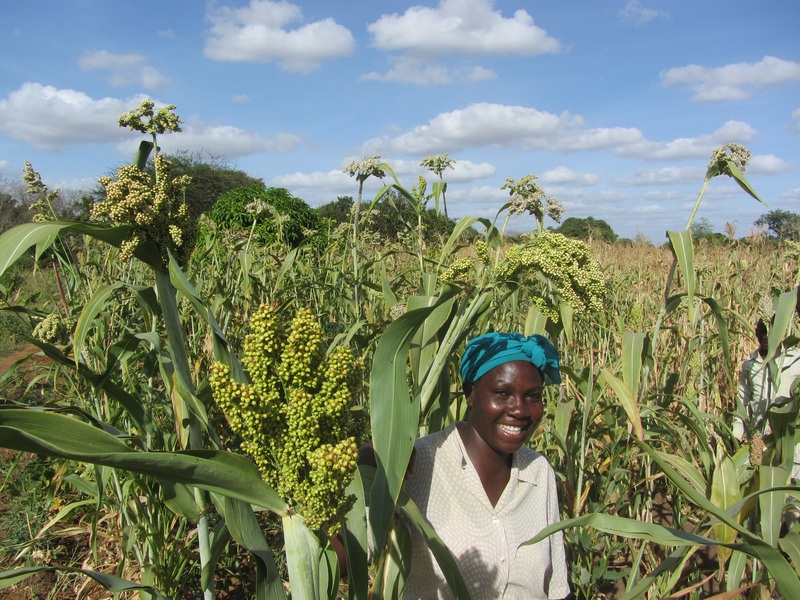 This farmer, near Kasikeu in Makueni County, shows her harvest from a small plot experiment using a P seed dressing on the improved early-maturing KATB1 variety. In her left hand is the harvest from the plot without seed dressing. This weighed only 1.4 kg. 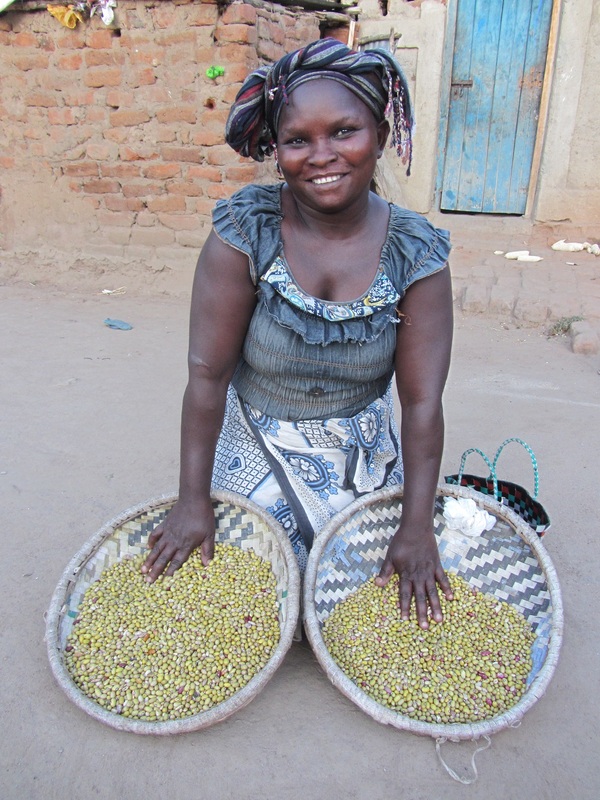 In her right hand is the harvest from the seeds which had been treated with P. This weighed 2.4 kg. Despite extremely low rainfall during the long rainy season, P seed dressing increased grain yield by 71%!